A vibrant account by a loving and thoughtful daughter of two decent people who were prominent Hollywood figures during the industry’s studio era. 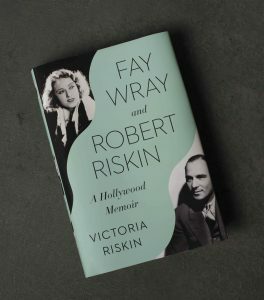 Victoria Riskin interweaves the biographies of her parents, Fay Wray and Robert Riskin, and places their lives against the unfolding histories of Hollywood and the nation. Riskin alternates between closeups and long shots, writing with the intimacy of a daughter but also with the reportorial detachment of a historian who has done her homework. Wise, penetrating, smoothly written; a skillful juggling act and, first to last, a pleasure to read.